It's out, it's out! It's out today! 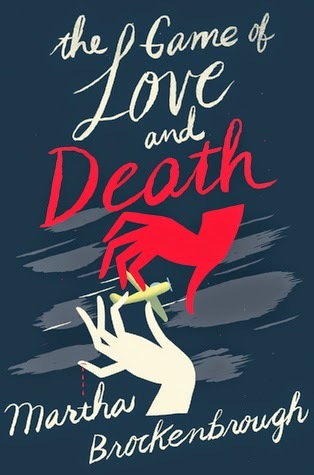 I'd pre-ordered a copy of Martha Brockenbrough's THE GAME OF LOVE AND DEATH, and I picked it up this afternoon. Look at the beautiful cover! Published by Arthur A. Levine Books, an imprint of Scholastic Inc. I've been eagerly awaiting this YA novel. Why, you ask? I'll tell you: It sounds flippin' awesome. Helen of Troy and Paris. Meet Flora Saudade, an African American girl who dreams of becoming the next Amelia Earhart by day and sings in the smoky jazz clubs of Seattle by night. Meet Henry Bishop, born a few blocks and a million worlds away, a white boy with his future assured--a wealthy adoptive family in the midst of the Great Depression, a college scholarship, and all the opportunities in the world seemingly available to him. The players have been chosen. The dice have been rolled. But when human beings make moves of their own, what happens is anyone's guess. Swoon-worthy, yes? If that doesn't melt your cheddar cheese, what will? I've heard it's fabulous from people who've had sneak peeks! And check out these reviews! Martha supports writers and illustrators in so many ways. She's a brilliant person, and she's filled to the scalp with writing talent, humor, and kindness. It's so exciting when someone you're rooting for creates a book you'd be dying to read even if you didn't know her. I cannot wait to read her story! Last weekend's SCBWI Western Washington conference left me feeling grateful. I always attend our regional conference for the learning and inspiration. While I never know what they will be or where they will come from, I get precious nuggets of special somethings every time. Thanks to our Advisory Committee, we had a top-notch faculty and excellent sessions. Both of author Sharon G. Flake's talks were wonderful. I loved her keynote, "Flying Scared: How to Get Published in Spite of Yourself." I'd already been to her session, "Creating a (Non-Stereotyped) Authentic Voice," so I knew the keynote was going to be great! Each of Ms. Flake's talks felt like a gift. She shared her experience, her strength, her wisdom, her vulnerability, and her beautiful spirit. I could listen to her all day. 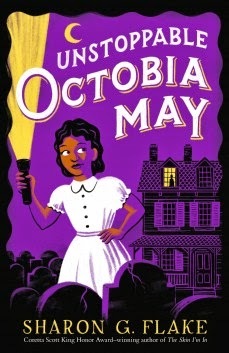 Ms. Flake is a best-selling, award-winning author, and I can't wait to dig into her first historical mystery, UNSTOPPABLE OCTOBIA MAY. I won't post about every session and keynote, but you can read about them at SCBWI Western Washington's blog, The Chinook Update. What I'd like to do is say how thankful I am for the people in SCBWI. The friends I've met share encouragement, critiques, advice--more than I imagined when I decided to join. I hope I can give back just as much. The writing journey is long, but how lucky we are to walk it together. How fortunate we are to have friends and colleagues who understand our deepest and shiniest dreams.